Take this Tennessee–approved course to complete your online bowhunter safety education. Get Bowhunter certified in 3 steps. Study and pass the $30.00 online course. Get ready to go bowhunting! Do you need Tennessee Bowhunter education? Tennessee does not require education. You can take this course if you plan on bowhunting in states that require certification. You must be at least 9 years old to take this online course. You must be a resident of Tennessee to take the online course. Our course videos feature a combination of professional educators (who double as professional actors), entertaining storylines, and up‐to‐date scenarios that give you one of the most effective ways to learn safe bowhunting practices. Watch this 67-second sample to see how we put you in the bowhunter’s camo. This official training program is developed to meet the standards for Bowhunter safety education established by Tennessee. Bowhunter Ed is the only safety course provider that develops print materials on behalf of government agencies responsible for Bowhunter laws and regulations. As a course provider approved by Tennessee Wildlife Resources Agency, the Tennessee Bowhunter Ed Course covers everything you may need to know in order to be safe. 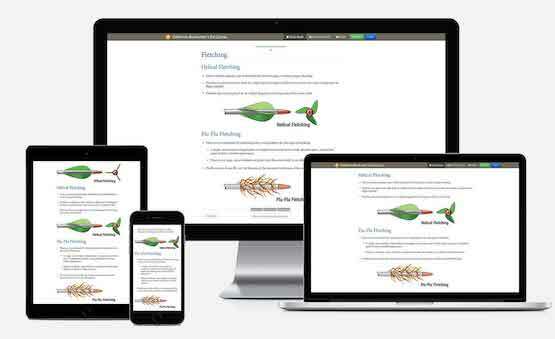 Bowhunter Ed offers online courses that are fully mobile-friendly from start to finish. This safety course is designed to work on your smartphone, tablet, laptop, or desktop computer. Our customer service team, made up of real people with real Bowhunter Ed experience, is here to provide assistance through all channels—phone, email, and chat. How Do I Get My State Bowhunter License? Bowhunter education is currently required in many states. An approved Bowhunter safety course is required to comply with the laws and regulations in those jurisdictions. 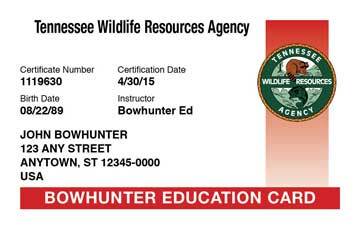 Depending on your age, you may be required to have the Tennessee Bowhunter Education Certificate in order to legally buy a license or permit to hunt. For more information, see the Tennessee Bowhunter Laws and Regulations page. Did you lose your certificate? Replace it here. Need help? Here are the answers to the questions Tennessee Bowhunter students most frequently ask. Bowhunter Ed is committed to Bowhunter education safety. 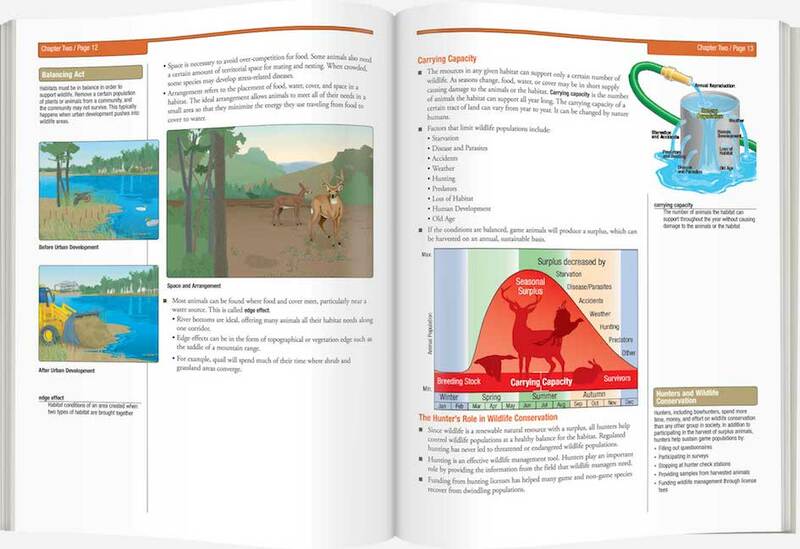 We work with the Tennessee Wildlife Resources Agency to produce Bowhunter safety education that’s accurate, interesting, and easy to understand.